Participating in sports is all nice until you sprain an ankle and get to spend the next couple of weeks fixed to your bed. Unfortunately, no one is immune to injuries. Ligament sprains are a common occurrence among athletes. There are different treatments available and we will talk about them in this post. We will also address ligament tear surgery as one way to have the problem fixed. Is it a good option and what pros and cons do it have? You will read all about it in a minute. Sports injuries are common among athletes and people who exercise on the regular. All age groups are affected, from children to adults. As a whole, everyone who is involved in some form of sports risks getting an injury. Although different parts of the body are impacted, it’s generally the vascular and the nervous systems that are affected. When something like this happens, you need to act fast to prevent complications. The best thing you can do is to talk to a sports injury doctor. A sports injury doctor will assess your current health condition and recommend a certain course of action. The risk factors vary. First things first, it depends on the age, height and weight. People with more body fat put unnecessary pressure on their ligaments and joints. Second, lack of sleep and malnutrition may weaken the system, making it more prone to injuries. Furthermore, if you don’t have enough strength and balance or if your muscles are not very flexible, this may put your body through lots of stress. Another factor to consider is congenital irregularities such as bow-leggedness, high arch or flat feet. When it comes to extrinsic factors, you have to keep in mind that insufficient warm up before any sports activity may add to the situation. Overtraining is no good either. Last but not least, the sports setting and the lack or presence of protective equipment can largely affect what happens on the field. Now, let’s focus on one particular type of injury – tear of the ligament, which can trigger the need for ligament tear surgery. It is also called a sprain. Mind you that there is a contrast between a sprain and a strain, as mentioned above. Although they both basically mean a tear or stretch, they affect two different parts of the body. A sprain usually happens in the ligament, while a strain occurs in the muscles. So how is a ligament sprain caused? It arises when you stretch your body beyond its normal abilities. In most cases, it could be because you fell or you hit yourself. Imagine catching your foot on a chair leg and twisting your knee. Sprains usually occur in the ankle, knee, wrists and thumbs. The more severe the tear is, the more difficult it can make walking and using your joints. And while a torn ligament can heal on its own if properly immobilised, there are cases when further measures need to be taken. If nothing else works, you need to consult a sports injury doctor on the possibility of undergoing a ligament tear operation. They will factor in the urgency of your condition and the severity of the injury. In most cases, surgery is left as a last resort. The specialists will first prescribe medications and rest, and if that doesn’t make you feel better, an operation will be scheduled. So, what happens during ligament tear surgery? It encompasses repairing or reconstructing the troubled ligament. The damaged tissue is replaced with a graft. The latter can be extracted from other parts of your body or, if that isn’t an option, from a cadaver. It doesn’t sound great, but it’s actually how it works. Of course, if the idea of receiving a ligament from a corpse is not to your liking, bring it up to your doctor. 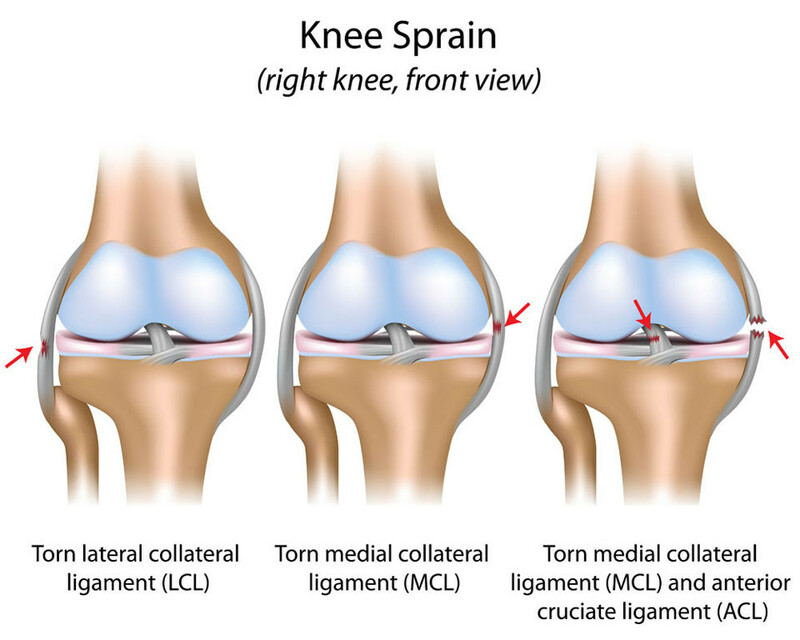 The surgery is used when the knee ligament is not yet disconnected from the bone, but the bone itself is broken. In that case, the latter has to be “glued” back to the main bone. There are two ways to carry out such an operation. One is open surgery. It requires that the doctor makes an incision into the treatment area. The other is arthroscopic surgery and it is performed with the addition of a camera. There is less risk here. Grade III ligament tears often require surgical interference, although the side effects might be too bad. As compared to using an ankle brace, the surgery has a huge advantage in that it prevents recurrence of re-injury. And the recovery period is just about the same. Overall, it takes six weeks before you are allowed to place weight on the ankle. However, there is a huge disadvantage to this method. It appears that ankle surgery causes abnormal motion in the troubled ligament, resulting in a bigger ankle arthritis occurrence. Why would an operation cause something like that? Because it involves artificially tightening of the problematic ligament so that it stays in place. And when everything is tighter than it should be, it requires patients to apply more effort to move around. As a consequence, the joint wears out faster, giving way to unfortunate health conditions. 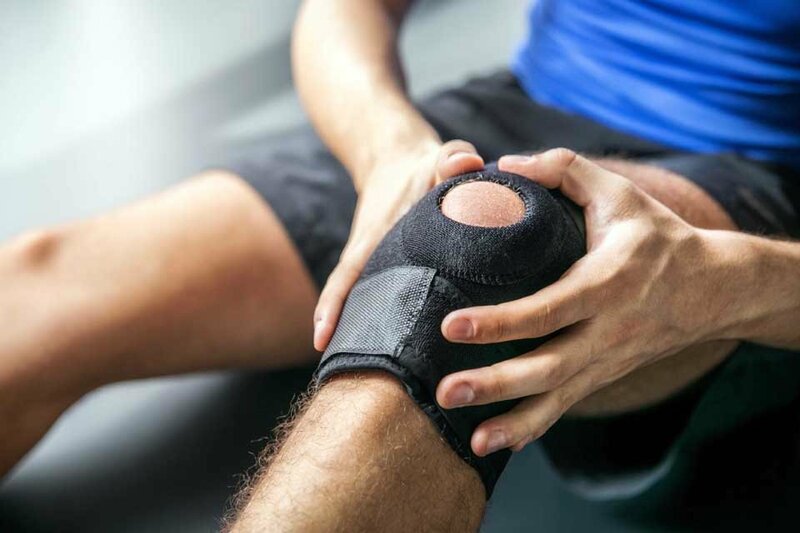 For this reason, a lot of doctors recommend non-incisional methods to solve the problem and if that doesn’t do the trick, they resort to ligament reconstruction surgery. Does ligament tear surgery bear any risks? Just like any other surgical intervention, this one involves a certain degree of risk. First and foremost, blood clots and infection might happen post-treatment. After the operation, you are also prone to getting stiffness and weakness in the knee. Not to mention, pain is nothing but expected the very same as in knee replacement surgery (makoplasty). Another thing to take into account is that the affected area will perhaps never be the same again. The surgery might help you go back to your normal activities and everything, but you will find that it is not like what it was before the sprain. And finally, although small, there is a chance that the new ligament doesn’t work as expected. This means that re-operation might be necessary. Prepare for a long recovery period. You will be unable to go back to work immediately after you check out of the hospital. Instead, take a few days or even weeks off, based on whether or not your job is physically demanding. The first days post-surgery all you are allowed to do is rest. You need to make sure the bandages stay dry and clean at all times. Since the area is likely to swell, try keeping your treated leg elevated a few times a day. You will need to do some exercises to avoid immobilization and blood clots. Moving your knee or ankle will be painful. Your sports injury doctor will give you medication to manage that. A few weeks after the surgery, you will be appointed physical therapy. This is usually the time you will be permitted to put some weight on the treatment area. Rehabilitation will last anywhere from two to six months. The goal will be to regain stability and strength when using the treated leg. Your programme will be very individual and injury-specific. A specialist will take care of that. Your job is to follow their instructions and be very patient. So how do you prevent sports injuries? To wrap this up, injuries may happen to anyone. It is important to go to the right specialist to address the problem. In severe cases, ligament tear surgery might be needed. It comes with some unpleasant aftereffects, but it can prevent re-injury. There are different ways to go about this, but no matter which option you stick with, get ready to spend a good amount of time sidelined and out of work. Next Article What is MAKOplasty and why it’s so popular in Singapore?